Robert has stayed in touch with me during this enrollment and has been able to answer all of my questions. This is an anxious time for me and I am hoping and praying this will be behind us in the near future. So far I can say my experience has been very good. I had no idea that Companies such as yours existed, I was up against the wall with my debts and thought I could handle them until the tide of bad luck turned to no luck. Situations change in a persons life that for the most part are hidden from us until it happens which could be good or bad, positive or negative, in my case it was bad. Then I surfed the Internet trying to figure out what my next move was going to be or even if I had a choice. That’s when I found your website. When I tried to investigate a little bit to see if you all were the bonafide deal, all I came up with was a lot of Good Vibes. So I filled out the little Intro and within 30 minutes or so I got a call from one of your Reps. Everything we talked about made me feel ALOT BETTER. It was a AWESOME EXPERIENCE. Afterwards, I waited for about 5 days for the Package Deal to come (which is one of things we talked about). While waiting for it I had questioned myself on whether I had done the right thing or not, yes I had some doubts but when the package came and I opened it up and reviewed it, my doubts were unfounded. This is the REAL DEAL. It’s kind of like a big weight has been lifted off of me. Ofcourse I know there’s obstacles down the road and for 3 to 4 years I’m going to bite the bullet but after it’s all done, I’ll be a much Happier Person. I am TRULY HAPPY I found You and the Rep or the Counselor (I don’t know the term) was a EXCEEDINGLY Nice Guy, Super Knowlegeable, Helping Me in every way, courteous, polite but still down to earth. Thankyou So Much !!! Michael was great, patient and very helpful. He took extra time to walk thru all the explanitons and regulations., very knowledgeable. Was glad I called! Jessica was very informative and professional throughout our signup process. She was sensitive to our situation and made sure we had reasonable expectations of the program. We look forward to working with her. unfortunately i got myself into this situation. However after checking with many other companies and talk with their representatives, I found talking with Jessica from made me feel comfortable sharing and hopeful that my situation is fixable. She was friendly and professional. Thank You Accredited Debt Relief. I am much more confident that I made the right choice after I spoke with Jessica, my new debt consultant. Reconciling outrageous debt issues when we are already going through hard times at home is not easy to do. Having found a real human to speak with who has a genuine concern for my well-being and successful financial recovery, was truly a blessing to experience. Andrew over at accredited is wonderful to work with . He made what could have been a very uncomfortable conversation into a conversation of relief and thankfullness. I’m glad I made the call and thanks again for your help and support. The company has been great at helping answer all of my questions . I feel. Very comfortable and happy to be working with them. I spoke with the representative at Accredited and they were very easy to talk to. I explained my situation, and my rep listened to my concerns and was able to lay out a clear plan. After speaking with other companies, it’s clear the customer service here is head and shoulders above the rest, and I’m very happy with my decision to go with Accredited Debt Relief. We just started to speak and work with them. We had spoke to a few other companies before and they seem to be the most knowledgeable. Their price and payment was also the best. I’ve been with this company for over a year and they have done nothing but miracles with my debt! My agent has been there for me every step of the way like he promised. Whenever I call him for a question, he will always answer my calls. They have already settled with more than half of my accounts and I couldn’t be more happy with how it’s going so far! You guys rock!! I spoke with Marcus with accredited debt relief. He and the company was very professional and made me feel very comfortable. I look forward to getting out of debt with them. I have had this debt for more than half my life and I finally found a way to deal with it. Thank you for all of your help and guidance for this extreemly stressful time in my life. I can’t wait to have no debt! I have nothing but good things to say about Accredited Debt Relief. The agent I spoke with was very thorough in assessing my situation and made the entire process a very comfortable experience. Just spoke to them the other day and they had the best customer service and I’m looking forward to getting my debt settled once and for all!! I’m sooooooo glad I found this company to help me with my credit card debt. I was embarrassed about my situation and they were very, very helpful and non judgmental. Thank you so, so much. I’ve had credit card debt looming over my head since college. I could never pay down the debt so I finally decided to search for help. 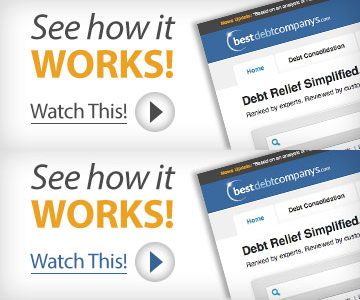 I’m so glad I found Accredited Debt Relief. The staff was nice and made me feel comfortable in my stressful situation. I’ve already settled a couple of my accounts and I’m looking forward to finally having no credit card debt!